This week, the U.S. Senate Committee on Health, Education, Labor and Pensions (HELP) held a hearing on Betsy DeVos, Donald Trump’s nominee for secretary of the U.S. Department of Education. The agency is tasked with promoting student achievement, fostering educational excellence and ensuring equal access. This means interpreting and enforcing our students’ civil rights laws. Prior to the hearing, there was little public record about DeVos’ record on important issues. DeVos has never been an educator, led a school, school district or state agency. She has not been a public school parent or a public school student. Her lack of experience has led numerous education and civil rights groups to denounce her nomination and speculate on how she would lead the Department based on past financial contributions. For example, DeVos’ foundation has donated to organizations that oppose Title IX protections for survivors of sexual assault, groups that oppose discrimination against LGBTQ students in schools and efforts to restrict access to birth control and abortion, as well as shame young or unwed mothers. All of these donations called into question whether DeVos would protect Title IX rights for survivors, LGBTQ students and students who are pregnant, parenting or have had an abortion. At the HELP hearing, DeVos demonstrated little knowledge about the key issues facing the department she’s been tapped to lead, and she refused to commit to enforcing key civil rights laws and protecting public education. Where DeVos had the opportunity to make her commitment to students’ rights clear, saying nothing actually says a lot. Where nearly 20 percent of female college students report being raped or sexually assaulted every year, commitment to ensuring a safe educational environment is not premature. Under the Obama Administration, the Department issued guidance in 2011 and 2014 that clarified schools’ duty to respond to sexual violence in a fair and equitable manner, including by basing student sanctions on whether it’s more likely than not that sexual misconduct occurred. It also states that every time a complaint is filed, a school must promptly investigate it. This guidance has been critical to enforcing Title IX and, as evidenced by the hundreds of ongoing investigations, is needed. Additionally, DeVos seemed to have no understanding of the Individuals with Disabilities Education Act (IDEA), the federal law that requires schools to provide free and appropriate education to all students with disabilities. Defecting to her repeated answer that many issues are “best left to the states,” it was only after a series of pointed questions from Sen. Tim Kaine that she acknowledged the IDEA is a federal law. Federal civil rights laws exist because Americans have decided that some issues are not best left to the states; that people, no matter where they live, deserve equal opportunity under the law. The IDEA provides critical protections for the 6.5 million students with disabilities who receive special education services. 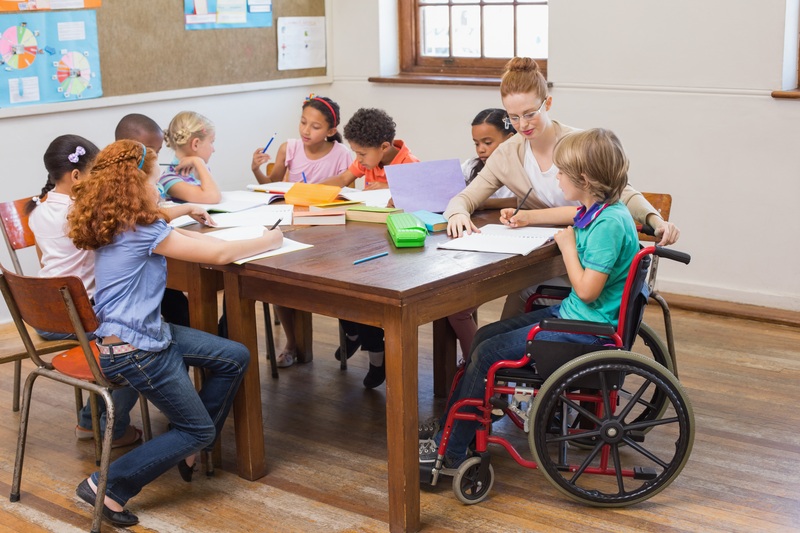 The law requires states and districts to provide a free, appropriate public education to students with disabilities. It provides $12 billion in funding to states, making it the second-largest K-12 program that DeVos would be responsible for administering. Her avoidance on a common-sense, long-standing law did nothing to ensure or even suggest DeVos would be an advocate for students with disabilities. DeVos did not pass her first test to becoming head of the Department of Education. The Secretary of Education’s role as the enforcer of education and civil rights laws is central to advancing our shared vision of an inclusive and diverse system of quality public education. The Secretary should be working to enable every student to live up to his or her potential. DeVos’ lack of experience leaves her unfamiliar with the challenges and opportunities facing America’s schools. If she is confirmed, DeVos needs to commit, adamantly and clearly, to enforcing our civil rights laws. Our students, families, educators and schools deserve that in a leader.